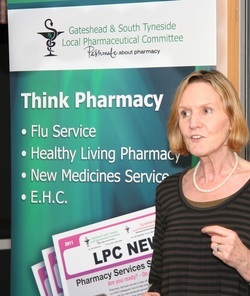 Recently, Gateshead & South Tyneside LPC held their daytime LPC meeting with a bit of a difference – they invited PSNC's Chief Executive Sue Sharpe and were delighted when she accepted. In honour of the occasion, the LPC held their meeting at the Hilton Hotel followed by an evening dinner so we could invite other local stakeholders to meet her. Sue Sharpe is CEO of PSNC and although her background is in the legal profession,she has been heavily involved in pharmacy for a great many years. It is fair to say that her depth of knowledge of the profession is beyond that of many working pharmacists. Sue gave a detailed presentation during the afternoon (a copy of which can be found on the Gateshead & South Tyne Side LPC site) as well as a speech at the dinner and participated in a question & answer session.During the afternoon she also saw a presentation from head of Medicines Management, Jeanette Stephenson. It was interesting to note that a common theme in both presentations was Medicines Optimisation, and how the skills of the pharmacist can be utilized. as Direct to Pharmacy arrangements & Manufacturers quotas were discussed as well as the New Medicines Service & how it can be difficult for pharmacies not located near to GP surgeries to participate. The eligibility of Internet pharmacies was also mentioned. Other questions centered around the new tariff arrangements for Specials and the reasoning behind the paper consent now required for Advanced Services. The meeting was a resounding success. 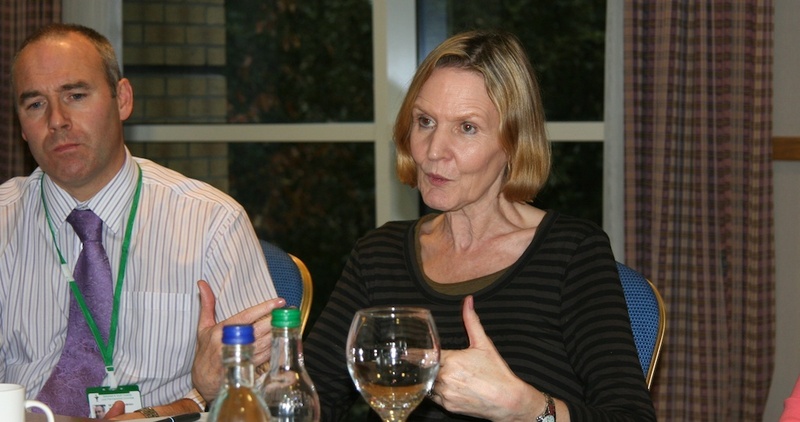 Committee members commented on what an amazing lady Sue was - “she is so knowledgeable and speaks with great clarity about all aspects of the profession.” It's comforting to know that she is at PSNC always arguing the corner of the pharmacist and negotiating on our behalf. One member said that after listening to Sue speak, she thought she must be "married to the job" then was amazed after chatting to her in the Ladies to find out that she was really just another working mum like her. We have added below a whole videos from the evening.